Abdul-Jabbar was one of the leading athlete activists during the civil rights movement. Nearly 50 years later, the iconic black and white photograph still resonates. In the 1967 photo, Muhammad Ali is flanked by Jim Brown, Bill Russell and Lew Alcindor, now known as Kareem Abdul-Jabbar, and other athletes. Brown, Russell and Alcindor traveled to Cleveland to support Ali, who had refused induction into the U.S. Army. Abdul-Jabbar – political and social activist, author and Basketball Hall of Famer – talks in-depth about Ali on MSNBC’s IconocList, which airs Saturday at 10 p.m ET. The show features influential people talking about the people who inspired them. Abdul-Jabbar also talks about Jackie Robinson, Martin Luther King Jr., Eleanor Roosevelt and Louis Armstrong during the hour-long program. “Dr. 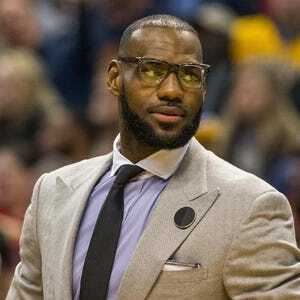 King – what he did was incredible,” Abdul-Jabbar said. “For me, it was especially so. I remember the Emmett Till murder in 1955. I didn’t understand why it happened, but it had a profound effect on me. I couldn’t get it. It really bothered me. It made me pay attention to the Civil Rights movement. I was only 8 years old when it happened, but it still got to me. It is an interesting time in Abdul-Jabbar’s life. He was honored with a Presidential Medal of Freedom on Nov. 22, and on Monday, he will receive Sports Illustrated’s Muhammad Ali Legacy Award, along with Brown and Russell. He also had advice for those who may be unhappy with the result of the presidential election.